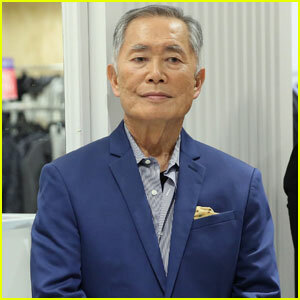 The 81-year-old Star Trek actor has signed on to join the second series of the AMC anthology series that takes place during World War II, and is set in a Japanese-American internment camp. George will also be serving as a consultant on the show where he will work closely with The Terror executive producers to ensure the accuracy of historical events and storytelling. When he was a child, George was also imprisoned in two such internment camps. On the show, George will be playing Yamato-san, a former fishing captain and community elder. Production for season two of The Terror is set to begin in January in Vancouver. The show will then premiere later in 2019 with ten episodes on AMC. 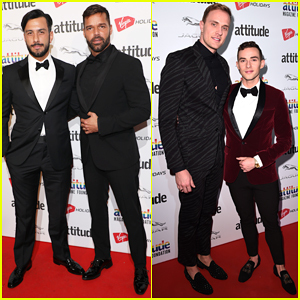 Ricky Martin hits the red carpet alongside husband Jwan Yosef while attending The Virgin Holidays’ 2018 Attitude Awards held at The Roundhouse on Thursday (October 11) in London, England. The 46-year-old Latin singer was joined at the event by Adam Rippon and his boyfriend Jussi-Pekka Kajaala, Idris Elba, Little Mix‘s Jade Thirlwall and Leigh-Anne Pinnock, Jess Glynne, Tituss Burgess, Andy Cohen, Whoopi Goldberg and George Takei. Also in attendance was Pixie Lott and fiance Oliver Cheshire, Courtney Act, Gigi Gorgeous, Mollie King, Boy George, Michelle Visage, Jodie Harsh and David Furnish. Ricky was honored with the Legend Award, while Adam took home the Sport Award, George with the Icon Award, Boy George and Culture Club with the Music Icon Award, Courtney with the Hero Award, Tituss with the Culture Award and Jess with the Music Award. George Takei is speaking out about the sexual assault allegations against him, after a new investigative article was released. The now 81-year-old actor was accused of making an unwanted advance on former model Scott R. Brunton while he was passed out after the men had dinner together in 1981. The new article questioned the inconsistencies in Scott‘s story, after he admitted to not remembering if George physically touched him. “As many of you know, this has been a very difficult period for myself and my husband Brad as we have dealt with the impact of these accusations, but we are happy to see that this nightmare is finally drawing to a close. As I stated before, I do not remember Mr. Brunton or any of the events he described from forty years ago, but I do understand that this was part of a very important national conversation that we as a society must have, painful as it might be,” George wrote on his Twitter. George Takei is speaking out to deny allegations of sexual assault made against him by former model Scott R. Brunton. Brunton says the incident happened in 1981, when he and Takei became friends. 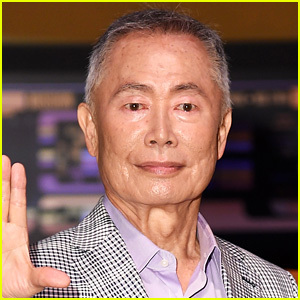 When he went to the former Star Trek actor’s apartment one night for drinks, he claims he felt dizzy and passed out, later waking up with his pants around his ankles and Takei groping his crotch and trying to get his underwear off. 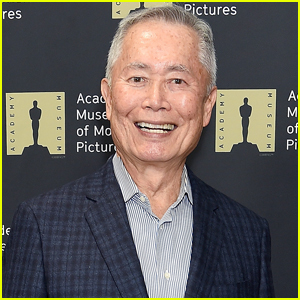 Takei, an outspoken advocate for the LGBT community throughout the years, denies that the incident ever happened and says he doesn’t remember Mr. Brunton. “The events he describes back in the 1980s simply did not occur, and I do not know why he has claimed them now. I have wracked my brain to ask if I remember Mr. Brunton, and I cannot say I do,” he wrote in a series of tweets. Read them all below.